Yes, I have a three year old daughter. No, I don’t hide a head of cauliflower in her mashed potatoes. I never slip zucchini in her pancakes when she’s not looking. 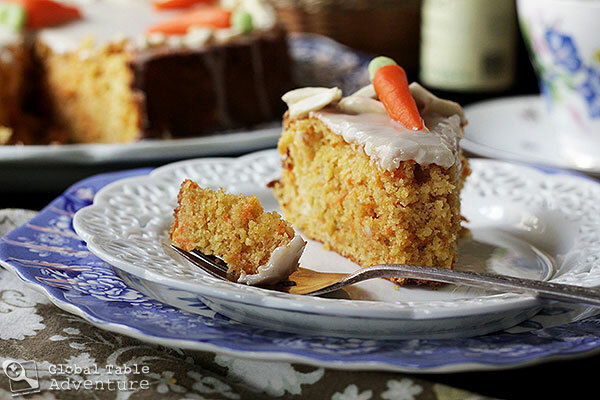 And I refuse to bury carrots in her cake. I don’t cater to my daughter that way. Don’t get me wrong. On any old Monday, Ava can blow through a bowl of cauliflower mashed potatoes. On the weekend, she can annihilate a tower of zucchini pancakes before the early bird has had his breakfast. 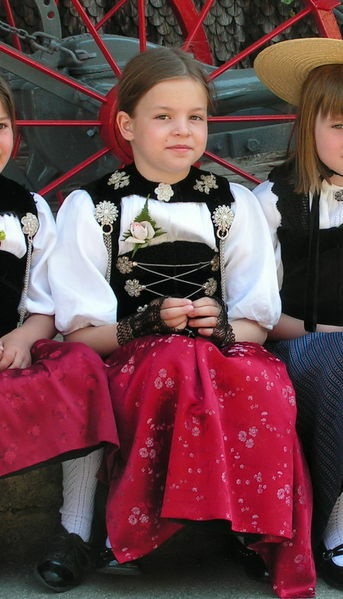 And, as of today, she loves carrot in cake as well as any Swiss child. But she knows the vegetables are there. We talk about it. Laugh about it. In our house, we revel in a real carrot’s gnarly glory. I point out the knots, the hairs, the fuzzy green top to Ava. She giggles, she scrunches up her nose, and then she chows down. 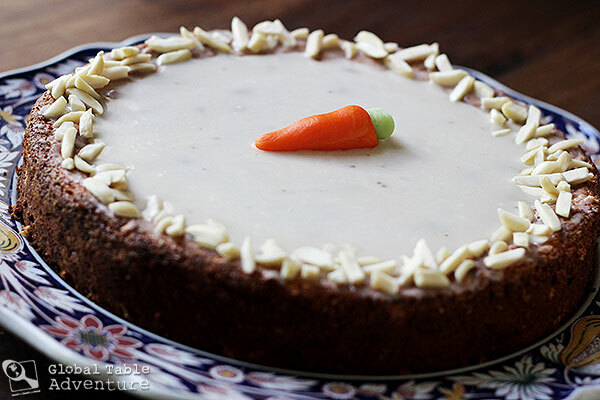 When I happened upon this traditional Swiss Carrot Cake, I realized that, though Ava had enjoyed many a gnarly carrot, she had never eaten carrot cake before. Unlike the cake’s denser American cousin, the Swiss version of carrot cake is light, fluffy, and loaded with freshly ground almonds. 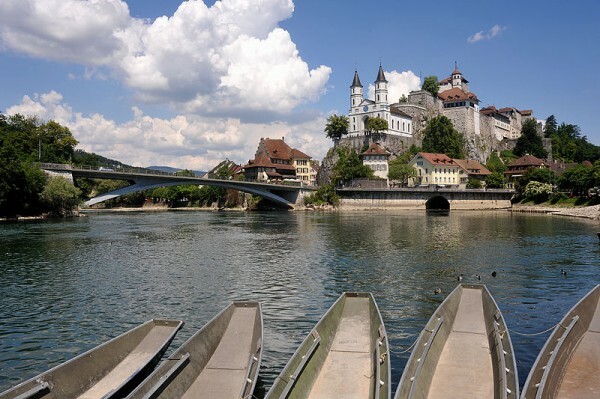 It is found most commonly in the Aargau region of Switzerland (rumor has it, Aargau is the home to first carrot cake, although this would be extremely difficult to prove). The batter is bound together with whipped egg white and breadcrumbs. 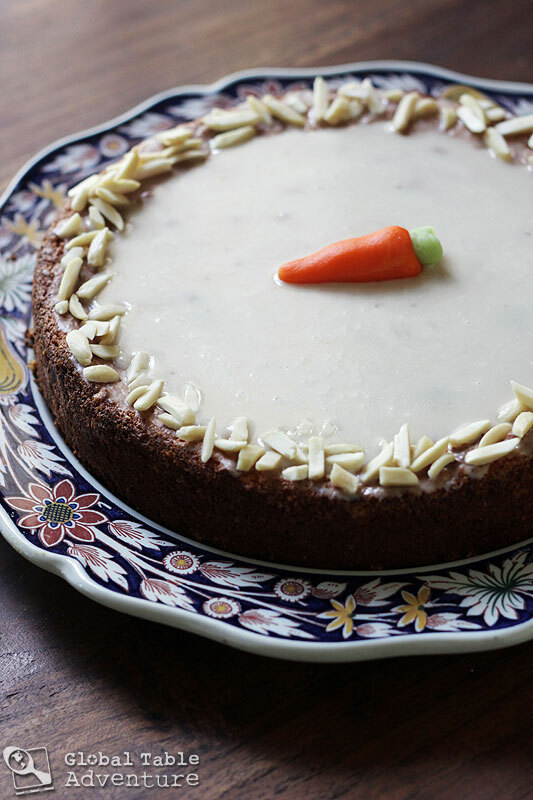 Finally, the top is coated with a lemon glaze, then decorated with marzipan carrots – a nod to the almonds inside. This a fun, not overly sweet cake. I think it’d be especially great for a baby shower, first birthday, or tea party. Oh, or, ahem, for Mother’s Day. Makes one, 9 1/2 inch cake. 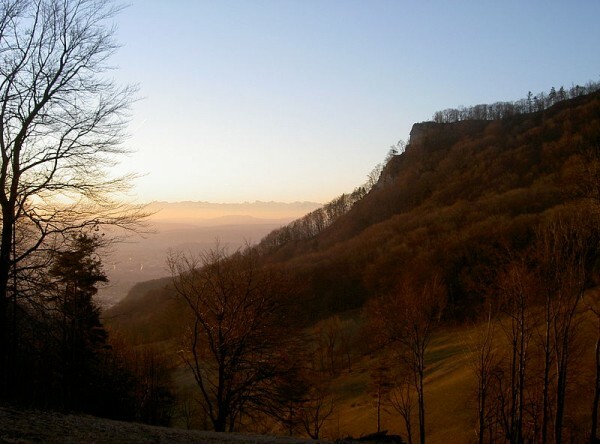 For inspiration, place your kitchen in the Aargau region of Switzerland. Wasserflue (Aargau). Photo by Benediktleander. Next, preheat the oven to 350F. Grease and flour a 9 1/2″ springform pan. 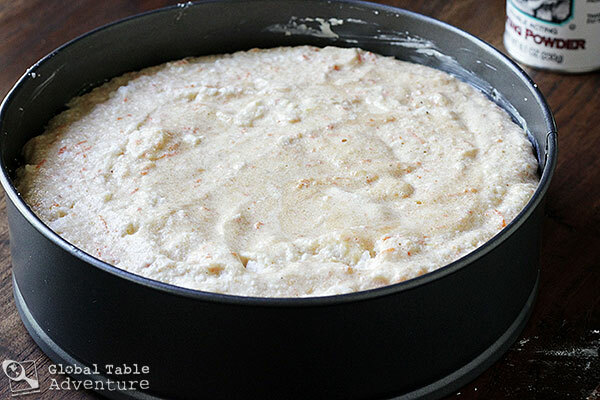 Add a circle of parchment paper to the bottom of the pan. 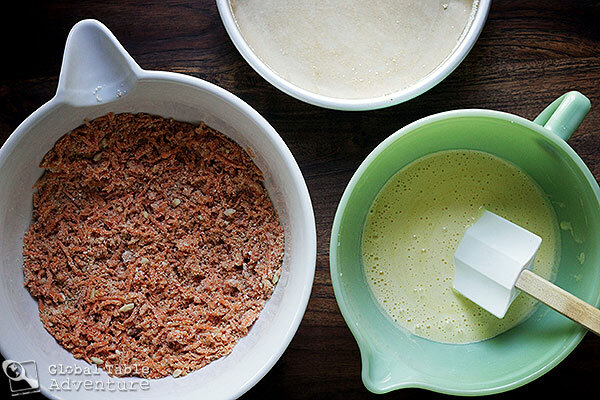 Mix the grated carrot, ground almonds, breadcrumbs, cinnamon, ginger, and baking powder in a large bowl. TIP: The carrot should be grated over the medium holes of the box grater. You can grind the almonds in a spice grinder/coffee grinder, or a food processor. 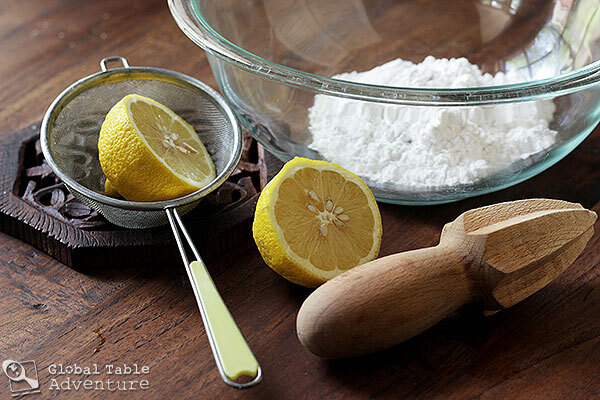 Beat egg yolks until foamy, then stream in sugar, lemon rind, and juice. Continue beating on high until the mixture is pale and thick. 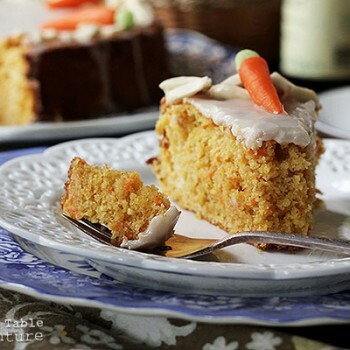 Combine with the carrot mixture. In a clean, dry bowl, beat the egg whites until stiff. 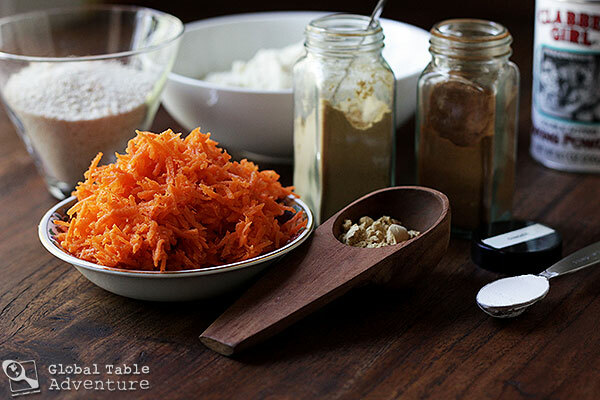 Fold together with the carrot mixture until just incorporated. I like to stir 1/3 of the whites in with the carrot mixture to lighten it, then I do the rest more gently. Pour into prepared pan, then pop into the oven and bake about 35 minutes or until a toothpick comes out clean. Let cool completely. Run a butter knife around the edges to help release it from the springform. Pour the glaze over the top of the cake, then decorate with almonds. While the glaze sets, prepare the carrots. I used Wilton Gel Colors, Orange and Leaf Green. They don’t dilute the marzipan; you can find them at Michael’s and Hobby Lobby. Make as many as you’d like! Just roll them in your hands until tapered, then top with a nob of green marzipan. Let the cake float you (and your dreams) up and away. Enjoy the daydream. Enjoy the adventure. Bridge over the Aar by Robert Maillart, built 1912; Aargau, Switzerland. In the background the reformed church and the fortress. Photo by Хрюша. Preheat the oven to 350F. Grease and flour a 9 1/2″ springform pan. Add a circle of parchment paper to the bottom of the pan. Mix the grated carrot, ground almonds, breadcrumbs, cinnamon, ginger, and baking powder in a large bowl. 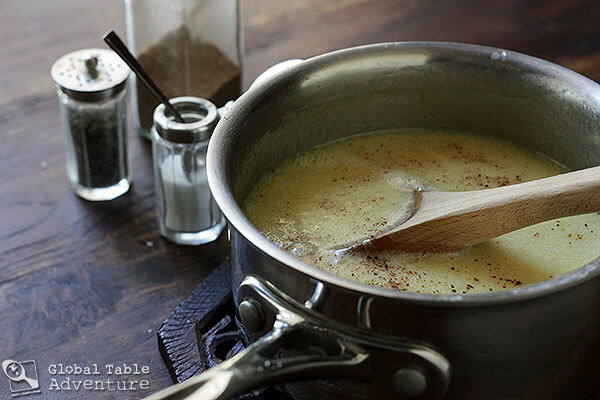 In another bowl, beat egg yolks until foamy, then stream in sugar, lemon rind, and juice. Continue beating on high until the mixture is pale and thick. 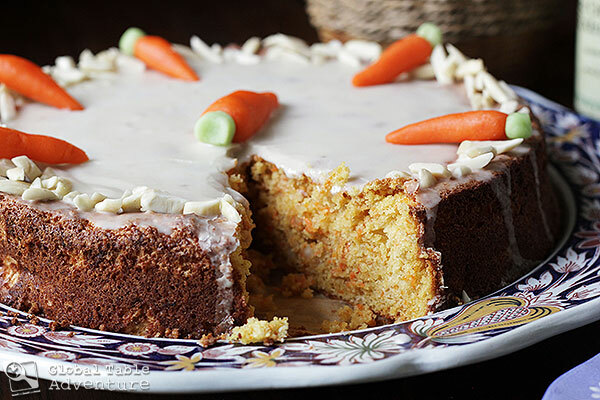 Combine with the carrot mixture. 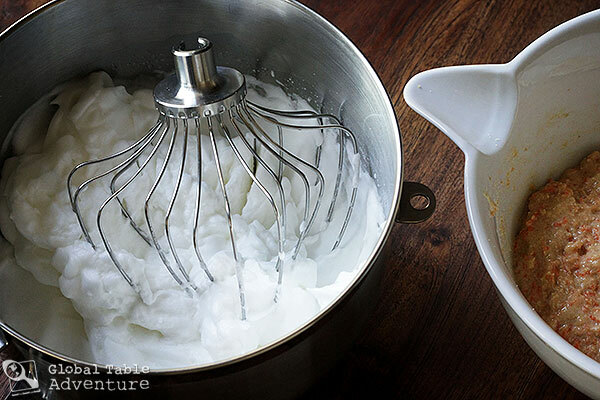 In a clean, dry bowl, beat the egg whites until stiff. Fold together with the carrot mixture until just incorporated. I like to stir 1/3 of the whites in with the carrot mixture to lighten it, then I do the rest more gently. 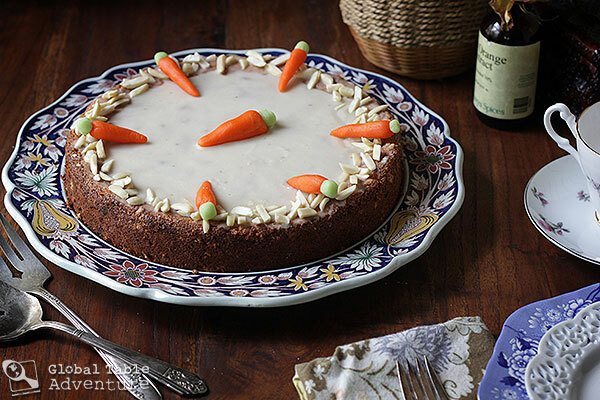 Pour the glaze over the top of the cake, then decorate with almonds and marzipan carrots. beautiful photos, as usual, brightened up my morning! Wow , yum hmmm might be worth a try from my go to American version with cream cheese icing. The protein from the almonds would be a plus for vegetarian daughter.. In brazil it’s Bolo de Cenoura topped with chocolate glaze… Very different!